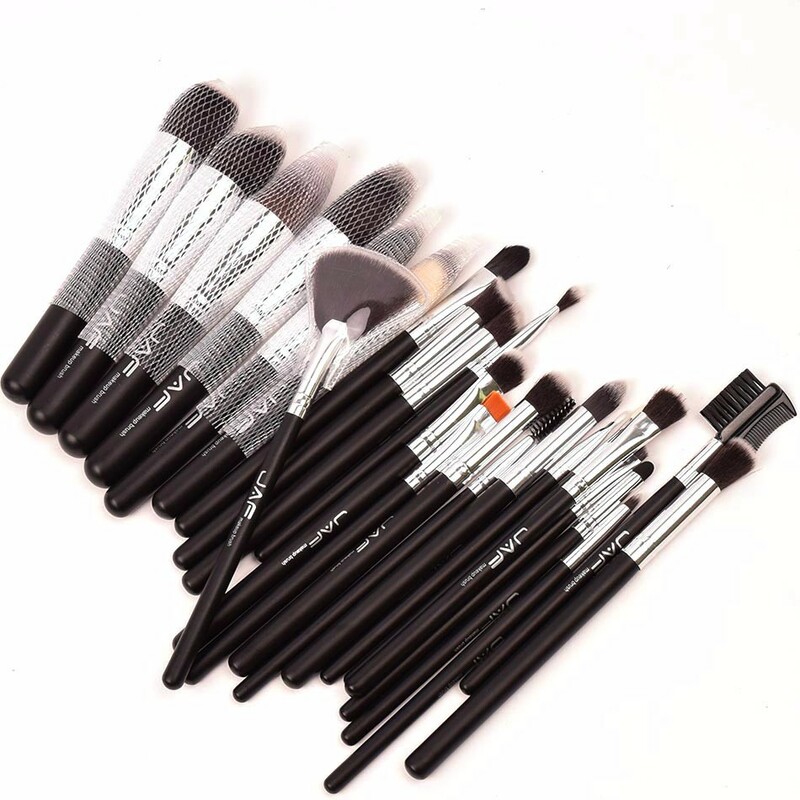 * A whole set of eyeshadow, eyeliner, shading, foundation, and concealer brushes in different sizes and shapes. • High-quality brushes that are made from synthetic Hair.Soft and dense Synthetic hair, every single hair easy to be seen, help you do easy and fashion makeup. • Perfect for applying a wide range of cosmetics including foundation, eyelashes, eyes and cheeks, concealer, blusher, and various powders. Function: Applying Foundation, Eyelashes, Eyes and Cheeks, Concealer, Blusher, Powders, etc. ※ After it is totally dry, rub the bristle gently and bomb it with a finger, which can make it restore fluffy state.